"MAAS" delivers also plantshallots and consumptionshallots. Every year we buy a big quantity so that we can work competitive. 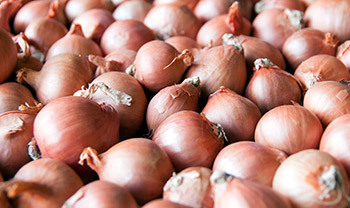 We can deliver yellow and red shallots in the desired package, but we need a few days before we can deliver because we have to buy elsewhere. 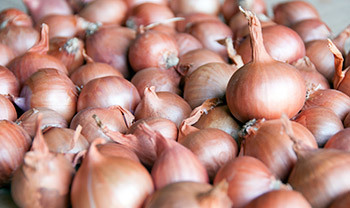 Shallots have a refined taste and are recommended in several dishes. Most known varieties are Red Sun and Golden Gourmet. Red Sun is red coloured and Golden Gourmet is yellow coloured.